The answers to some of the most frequently asked questions. The head office of Chiptwister is in Zutphen, The Netherlands. 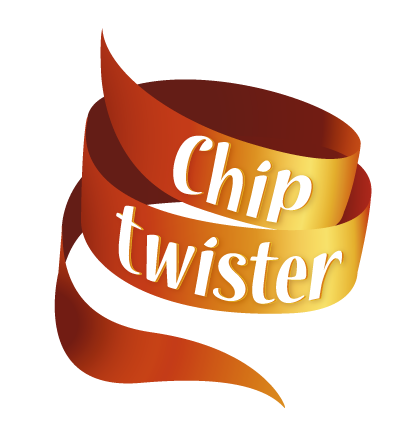 Since the Chiptwister is made fresh and only baked once, important nutrients, vitamins, anti-oxidants and fibers are better conserved than in other snacks. In addition the Chiptwister is also nuts and gluten free. How can I make sure that Chiptwister sponsors or donates my non-profit event? Some of our previous activities have been in the form of brand sponsorship, such as providing catering facilities on locations for fundraising events. If you want us to consider your initiative for a donation or sponsorship, send your proposal to info@chiptwister.nl. We are pleased to receive many of these proposals, but please note that we cannot consider them all . We will consider your request within four to six weeks. I have a question about my invoice. Who should I contact? I am interested in ownership of a Chiptwister franchise. How can I get more information? We have a special section on this site where more information about franchising is given. This information can be found here. What is the technology behind the Chiptwister? We have two internationally patented special purpose machines. You can contact our Franchise department for further information via phone number 085 76 00 481. How do I order ingredients and materials? As part of the franchise agreement, it is necessary to prove that the right ingredients and materials are locally present. In addition, we have compiled a list of preferred suppliers and manufacturers for some regions and area’s that can deliver for Chiptwister-suitable potatoes, oil, bamboesticks and napkins. I have a communication idea, how can I submit it? On our consumer channel, facebook.com/chiptwister we show our promotions. If you have an idea please contact us. What is the prize of a Chiptwister? The prize of a Chiptwister varies depending on location and market. The recommended retail prize per piece is between €2,50 and €2,95. What are Chiptwister's advertising activities? How does Chiptwister regulate its proper waste management? The individual theme park locations arrange their waste management. We explore with them the current sustainability processes and apply continuous improvements. Chiptwister has relatively little waste because it’s not served in plastic containers. What is Chiptwister's policy for recycling? For our activities in the Netherlands we are currently working together with the theme parks to ensure that appropriate recycling procedures by the end of 2015 have been introduced. All our ingredients are from Dutch soil. How do I contact Chiptwister?